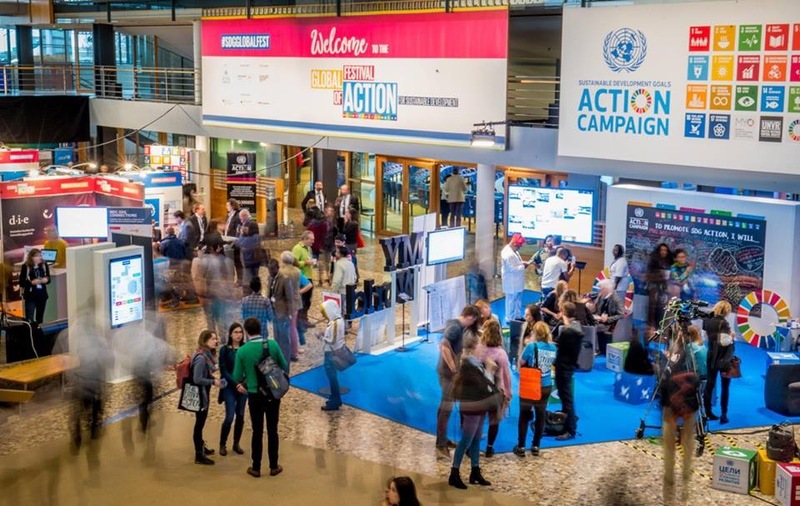 On 21-23 March 2018, Peace Boat and the Ecoship team took part in the second edition of the Global Festival of Action for Sustainable Development, the world’s annual event to celebrate, empower, and connect the global community driving action for the SDGs. 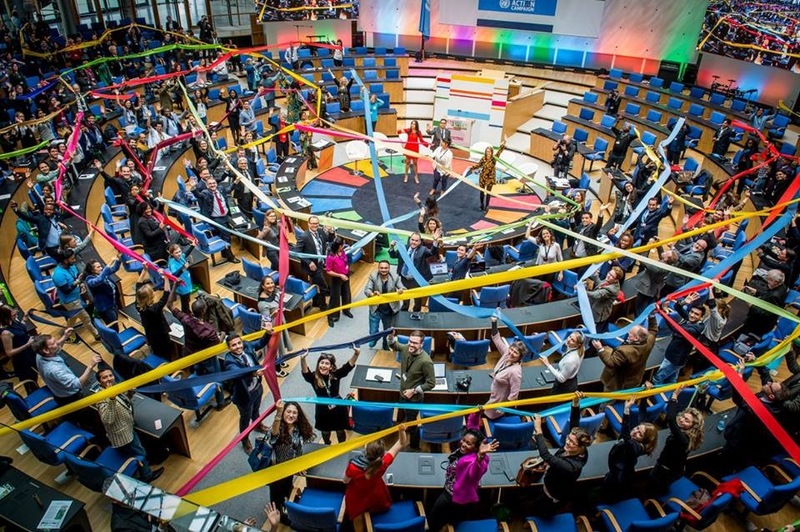 More than 1,500 participants from more than 100 countries convened at the Festival in Bonn, Germany. 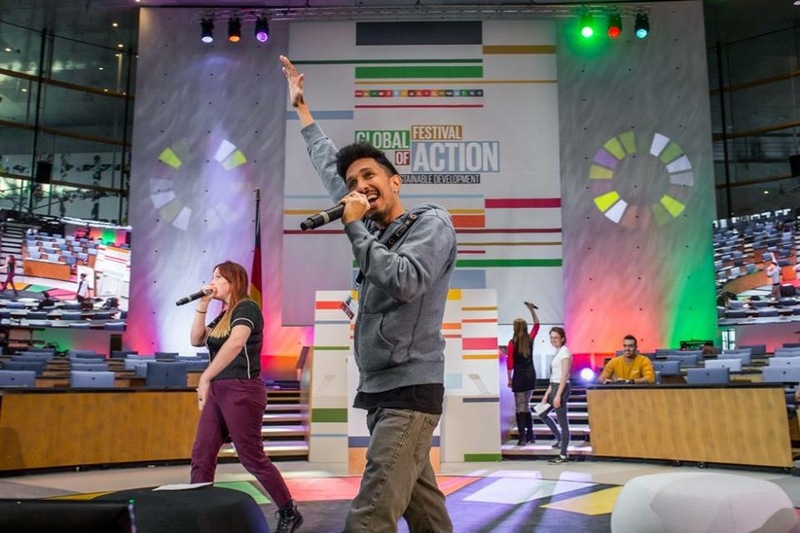 The Global Festival of Action for Sustainable Development is powered by the UN SDG Action Campaign with the support of Germany’s Federal Ministry for Economic Cooperation and Development. 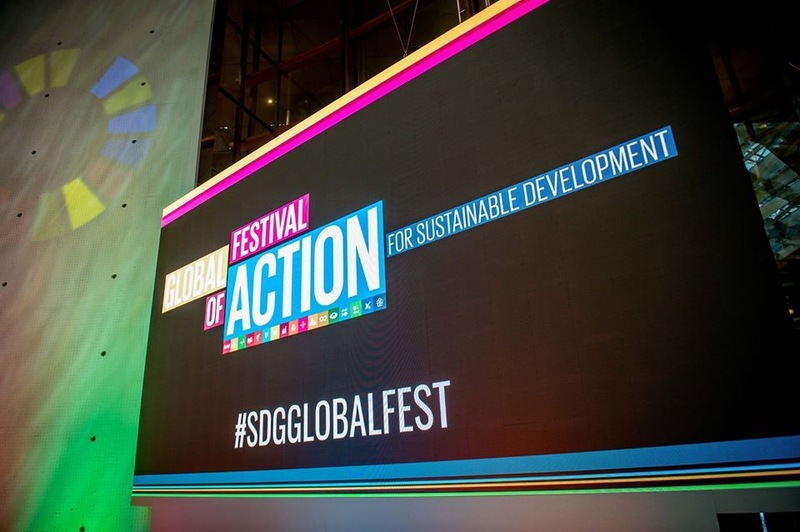 This year, the Festival focused on three core themes: Innovation and disruptive change; Citizen engagement; and Communicating the SDGs. 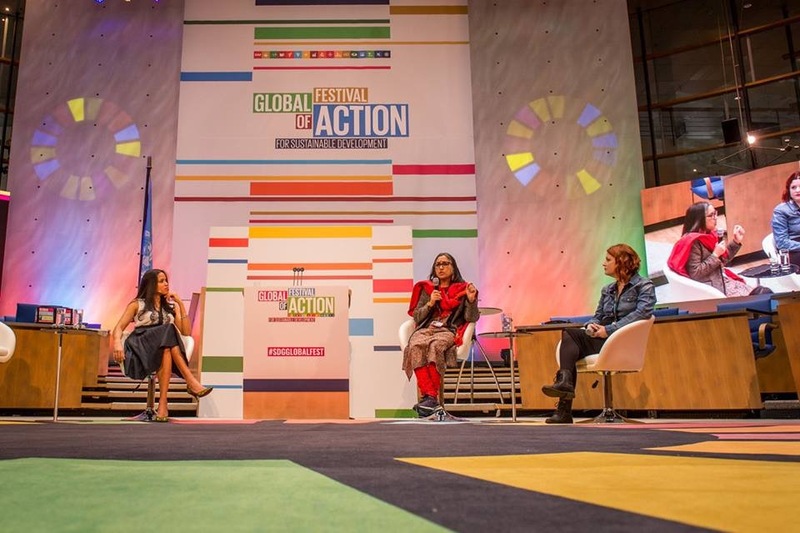 The Festival brought together a wide array of organizations and individuals to build synergies among different constituencies, increase mutual understanding, and approach problems and solutions from multiple angles. 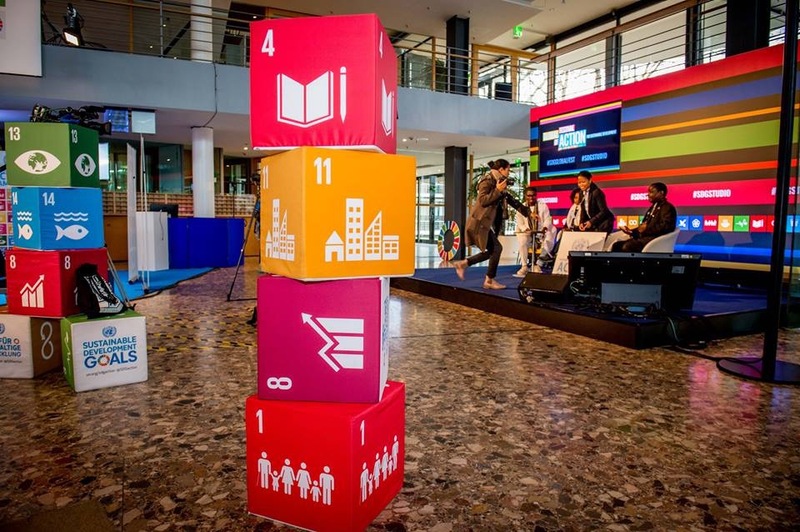 The event showcased the latest innovations, tools and approaches to SDG implementation. Peace Boat had an exhibition space to showcase our work for the SDG implementation. As a committed campaigner for the SDGs, Peace Boat proudly unveiled the vibrant SDGs logo on its hull during the departure ceremony of the 92nd Global Voyage in Yokohama, Japan on August 18, 2016. The 92nd Voyage marked the first Peace Boat global voyage dedicated to raising awareness for the SDGs. 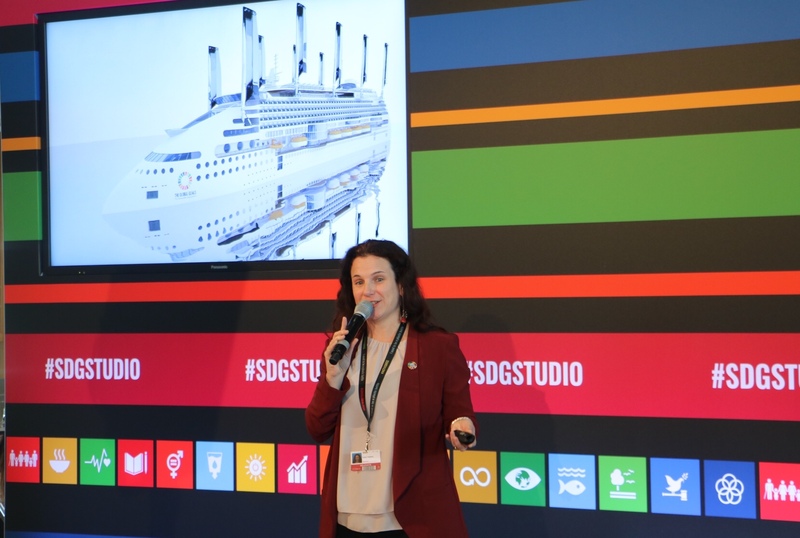 During the festival, Peace Boat’s International Coordinator, Karen Hallows, introduced the NGO activities and the Ecoship. You can watch the video here. A film festival was held during the event. One of the films screened was ‘Against the Tide: A Journey for Climate Hope’, the documentary that Peace Boat produced about our first Ocean and Climate Youth Ambassador Programme.